Chinese herbal medicine (CHM) is one of the great herbal medicine traditions, with a recorded history of more than 2000 years. CHM has retained a strong presence in health provision in China today, where it is practiced alongside western medicine in the treatment of a wide range of conditions. With its systematic approach and clinical effectiveness it has become increasingly popular in the West. CHM, along with the other components of Chinese medicine such as acupuncture, is based on the concepts of Yin and Yang. It aims to understand and treat the fundamental harmony of a persons Qi or vitality, which may have become blocked or depleted. Diagnosis and treatment is based upon "patterns" that are made up of signs and symptoms reflecting an imbalance. The results that can be expected and the length of treatment required will depend on the severity of the condition, its duration, and the general health of the patient. It is common to take herbs for a number of months. Herbs may be administered in a variety of ways. These include making a decoction (like a soup), herbal powders and pills. instance you are likely to be seen every 2-3 weeks and this gap normally extends as treatment progresses. You will be given an individually tailored prescription to meet your needs and this will be reviewed each time you visit the clinic when modifications may be made to your prescription. Chinese herbs are very safe when prescribed correctly by a properly trained practitioner. Adverse effects from CHM are very rare. The use of good quality authenticated herbs is also very important to protect public safety. Members of the RCHM are committed to using herb suppliers that meet the highest standards. 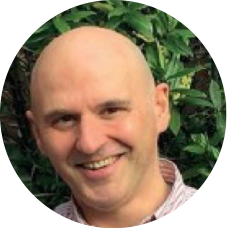 Greg has been practising acupuncture since 1989 and Chinese herbal medicine since 1995. He is a former Director of the Herbal Medicine proramme at the College of Integrated Chinese Medicine in Reading, where he teaches acupuncture and Chinese herbs.